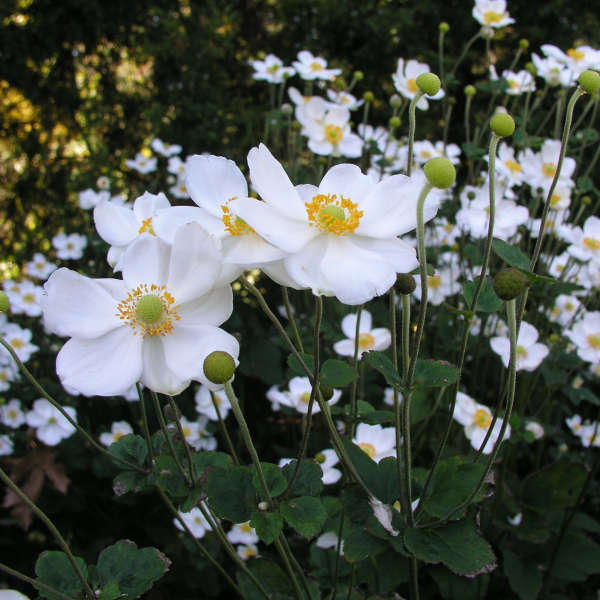 Anemone 'Honorine Jobert' | Walters Gardens, Inc.
We are very excited to be able to offer you clean stock of this popular cottage garden perennial. 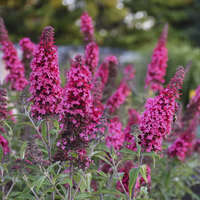 It is one of the best perennials for adding late season interest in the garden, as it blooms prolifically from late summer through early fall, even until frost in some climates. 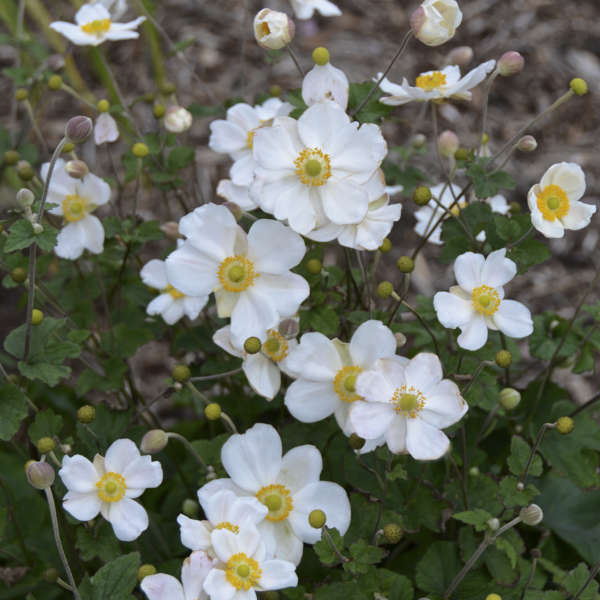 ‘Honorine Jobert’ produces single, 2-3” wide, pure white flowers with a cluster of bright yellow stamens in the center of each blossom. 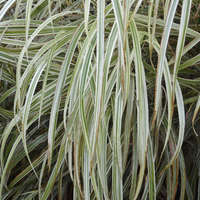 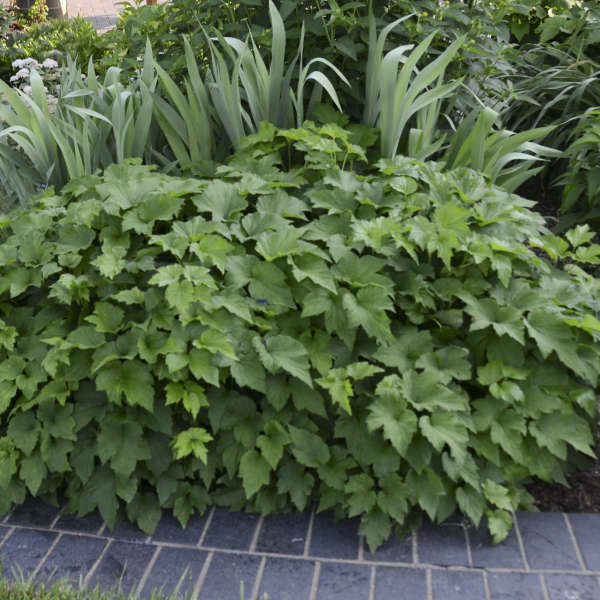 They are produced atop tall, wiry stems above an attractive clump of dark green foliage. 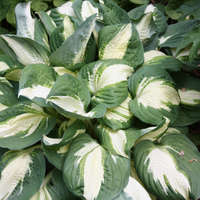 It is a real standout in partial shade where it is happiest. 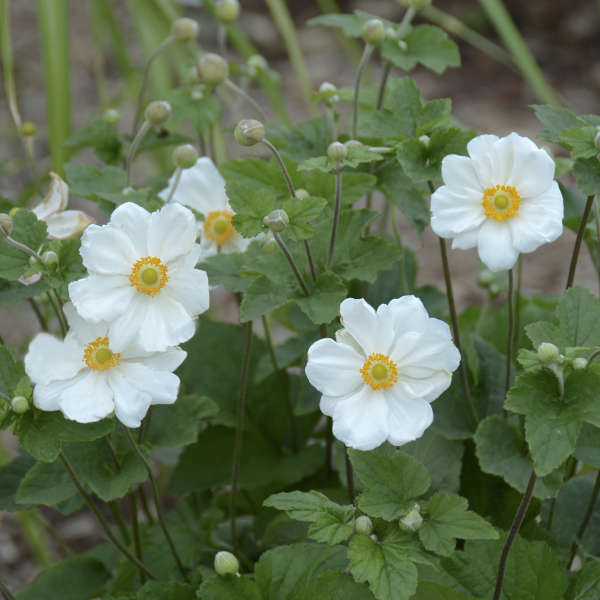 A staple item for late summer and fall borders, Japanese Anenomes are graceful plants with beautiful, satiny flowers borne on tall stems above a clump of shorter basal foliage. 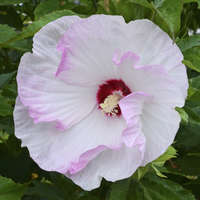 Watching them sway in the breeze brings a feeling of calm and peace to the garden. 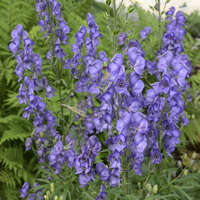 Since they are a bit late to rise in the spring, they make an ideal cover for the dying foliage of spring bulbs.